Children International is a global organization whose mission is to break the cycle of poverty one child at a time. 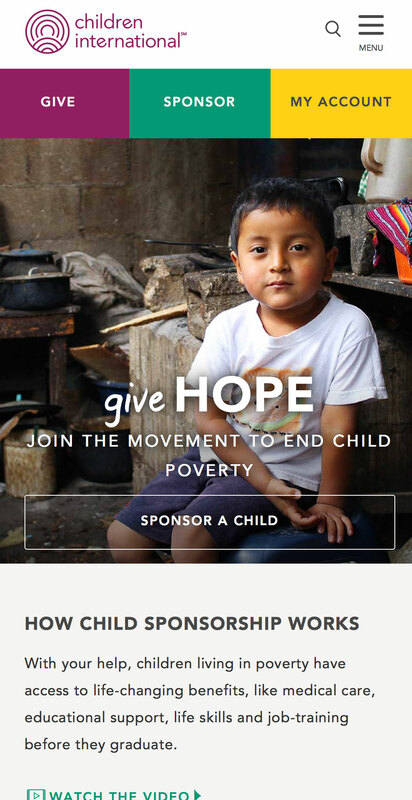 Rightpoint worked with Children International to redefine their product offering with an eye toward digital engagement and lasting donor relationships. Combatting a leaky funnel and redefining the giving process for a digital world. Inside: Children Internationalʼs primary sales driver has historically been the street corner. However, those donors often proved to be short-lived and not engaged. Digitally Children International focused on finite transactions and was mired in confusing user experience that lead to a disconnect between sponsors and recipient. Instead of building relationships, they were constantly fighting donor drop-off and struggling to attract new sponsors. Outside: 56 percent of people who support nonprofit groups on social media say that they are motivated by compelling storytelling. But they also want to better understand how and where their donations will be put to use. Rightpoint worked with Children International to make their mission a greater part of their business. 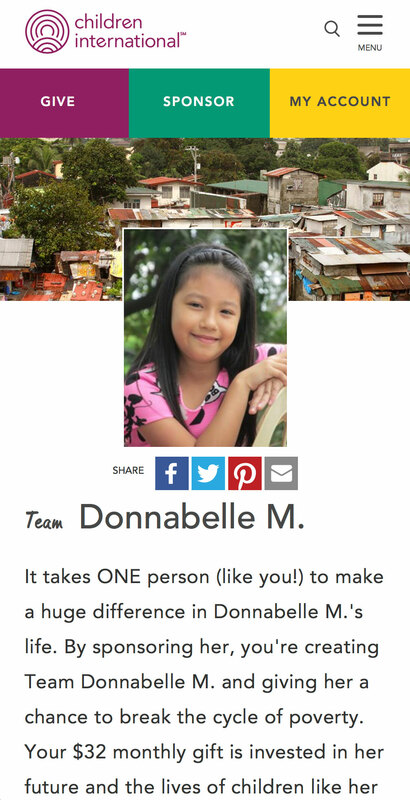 This meant helping Childrenʼs redefine what giving and sponsoring children in a digital world. These new ways of giving allowed for easier and more frequent engagements with the brand and their recipients. Building a real bond between donor and recipient through powerful storytelling, digital experiences and transparency. Children International works all over the world, and the needs of children vary by region. We used a storytelling approach to let visitors explore how donations to each region are used and learn the most needed resources for each child, in addition to including links to financials on the siteʼs donations pages. We wanted storytelling to come to life through the entire site redesign, not just story modules and pages. So we created a Brand OS that gathered together key visual, editorial and functional elements. We also wanted to further CIʼs goal of engaging readers with entertaining, thought-provoking content. To make that happen we opened up their site to more channels and designed an intelligent story landing page thatʼs easy and fun to search. A new model for giving and sharing personalized donations—flexible funding based on distinct donation styles.